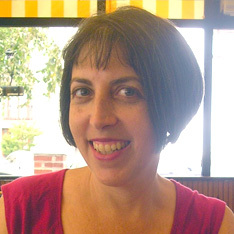 Anne D. Bernstein is a writer, story editor and illustrator. Her long association with the influential animated series Daria endears her to clever misfits around the world. She was head writer for the compelling, highly original and unfairly cancelled series MTV Downtown. In recent years, she’s scripted for numerous cartoons including Backyardigans, Tutenstein, Viva Piñata and Angelo Rules. During her stint as head writer for MTV Animation she was liaison and collaborator with creators and writers, generating bibles, scripts, and pilots. She also sat behind one-way glass in endless focus groups. Don’t remind her. She was the original comics editor of Nickelodeon Magazine where she oversaw the development of ongoing strips by the likes of such astounding funny book luminaries as Kim Deitch, Sam Henderson, David Mazzuchelli and Kaz. In addition, she served as Senior Editor there and was especially fond of writing about elephant seals. Her other work in print includes a map of bad public art for Spy, a round-up of regrettable tattoos for National Lampoon and scores of articles about everything from comfort shoes to performance art for Paper Magazine, where she was one of the original contributing editors, back when downtown was funky. As a blogger for the Roadside America website, she currently indulges her passion for identifying and popularizing all things quirky and peculiar, including defunct dinosaur parks and buildings shaped like ice cream cones. A highlight of her life was the day she was issued an adult library card. She is now busy writing this bio in the third person so as to avoid the more mundane first person and the rather pretentious royal we.